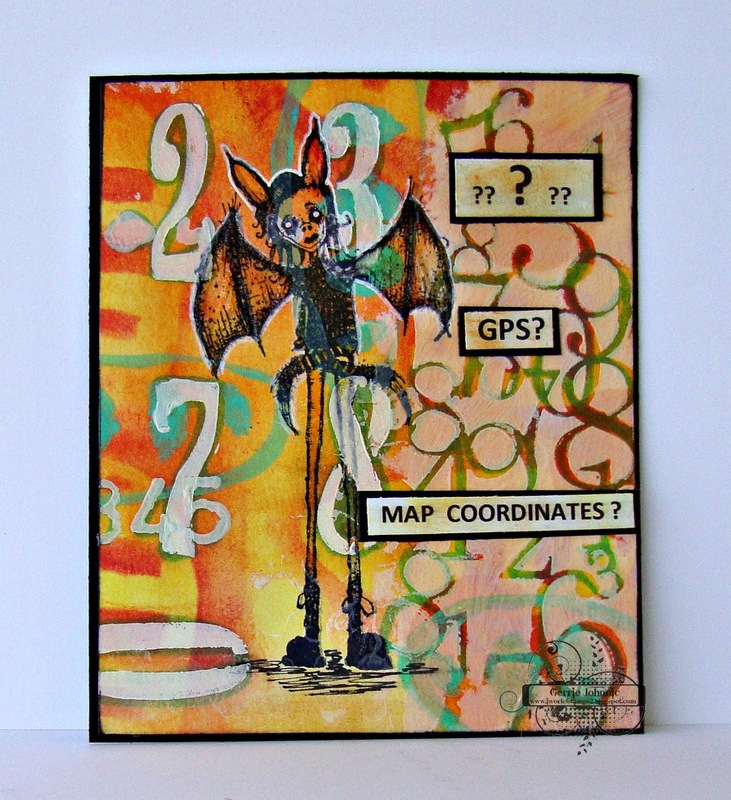 Today is my first post as guest designer for the month of March at the Stampotique Designers Challenge. I am doin' the happy dance cuz I'm here sharing my love of Stampotique with all of you. The challenge this week has been chosen by Jackie Payne, and it's NUMBERS, SDC 185. Tetewea is really feeling confused with all these numbers rolling around in her head, you can just see it in her expression! This is done on watercolor paper and the numbers have been stenciled. Tetewea was stamped with Black Momento (juicy) ink, her wings and ears have been "stickelized", and the words are computer generated. Have fun enjoying all the art from the Stampotique Designers this week. Very nicely done Gerrie, I love that background, so fabulous! Great post right out of the barn, Gerrie! Very clever use of numbers here, and I love all the colors in your background. Well done, my friend! fun fun fun tag GF that is me just trying to use GPS. Congrat's on guest designer stint and I know you will have a ball working with their stamps. BIG CONGRATS on your guest designer spot - WELL DESERVED! Love your background and stamped elements! Congratulations on doing your guest designer spot at stampotique! Love all the numbers on your background.... Fab card!